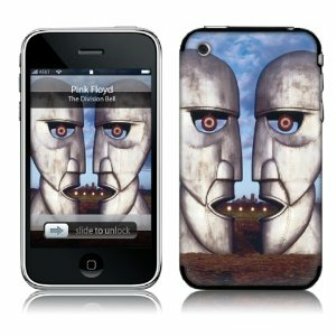 Pink Floyd Division Bell music skin is compatible with iPhone 2,3, or 4G and iPod Touch 2,3, or 4G. Music skins are an easy way to set your mobile device apart from all others. Skins are easy to apply, fully removable, and leaves no residue behind. Skins also help protect your device from some scratches and scuffs that can occur with everyday use. Skins add no extra bulk to your device so your device will still be compatible with other accessories, cases, and docks.